So there we were, at the parents evening at my son’s new school. The teacher had finished her spiel and she asked if there were any questions. Then my husband’s hand shot up. He asked the teacher if the school had a policy on computer usage by children…at home. She paused, not quite sure how to answer. And then he threw it open to the crowd. Did other parents have concerns about their children’s computer usage and if so, how strictly did they police it? I cringed. After all, we’re the new kids on the block in this school. I’ve already spent way too much time worrying about what to wear. Now he’d gone and outed us as a bunch of laissez faire, pop-culture junkies who spent entire weekends playing The Sims as a family? 1. It’s addictive. A recent study in the U.S. suggests that one in ten children (usually boys) are pathologically addicted to video games. Even if you question some of the inferences drawn from this study, it’s still a staggering figure. And one that rings true. Hey, I should know. I used to be a smoker. The glee in my son’s eyes when he’s about to get a “fix” is as disturbing as the withdrawal symptoms (sluggishness, irritation) when he goes a day without access to his beloved Fifa09. 2. It impedes creative play. Ok, Ok. I know I sound like a scold. But it’s true that the more time kids spend in front of a screen, the less time they devote to creative play – roaming, exploring, thinking up imaginary friends. And such creative play is crucial later on in life for things like executive function (which, among other things, enables you to exert self-control and discipline). I’ve noticed that my own son’s interest in drawing – something he once did regularly – has dropped off precipitously as his screen time has grown. Maybe he’s expanding his communication skills with strangers, but the recent email he received in cyrillic does give pause. 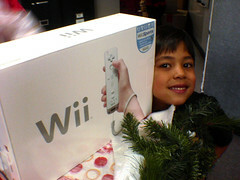 Image: Wii! by Zarzoso via Flickr under a creative commons license. You forgot the total meltdown when time is up!!! Every computer session seems to end in tears–either they didn’t put their webkinz to sleep, the game made no sense, or his sister hogged the mouse. I just took computer time away until October 1st. They went to pieces because they hadn’t realized it was only 6 days…. OMG yes! Total meltdown: “But I’m in the middle of my game/set/match…you CANT turn it off now” Well done for cancelling till Oct 1. Let me know how it works out. So far we’re doing amazingly well with the “only on weekends” policy but we’ll see what the weekend brings!! Thanks for checking in, Katy. Can’t wait to see your blog! sorry if I point out another important tip that it’s got to do with health: computer games make obese kids as they spend more time sitting instead of playing in the park/street with other kids or practicing any sort of sport. By the way, Diego is right now struggling with his judo class in order to get his yellow belt along next year and family computer is off. I have your same policy with Diego (6): only at weekends, and Iñigo (17) hasn’t got his own computer yet, not even a tv in his room, while their friends have no limit at all: play games everyday, have wii, play station, computer, tv, etc., in their rooms which I think it’s a risk as you have no control of what they play/watch unless you are invited to share those moments with them which, I ought to say, it is unlikely after they are 11-12 years. The problem, at leats around me, is that it’s easier to let kids do what they want to do. Arguing kids about these themes is really hard and exhausting and parents are not willing to take and do that task. When Iñigo was around 15 he asked me to change his one-year-and-first mobile for another-300-euros-one. I absolutely said no and this involved a four-days-discussion (which I don’t wish to anyone). Finally I won the battle. Most of the parents I know, don’t want to have those little battles, they go to the easy way: ok, do what you want, ok, I buy you what you ask, ok, go where you want, play comp. games whatever time you wish, etc. So my problem is not only to “fight” with my kids, but make them to understand that a “no” to their wishes is good for their education, and make them see that those kids with permissive parents will probably have troubles in the future (studies, behavior, etc.). thanks, Katie. I was wondering how one installed those things! You need to have an administrator account (even you don’t use this computer, you need it to setup the things) and one or more user accounts (for your kids). Be sure that the accounts of your kids are not administrator but user, because admin gives them more control over the computer than necessary. Than you have to install the software under your admin account (your account should be password protected and only you should access it), run it and set the settings and time limits for your kids. Then from the software running in your admin account you can configure the time limits for your user accounts. In fact you have nothing to do in your kid user accounts – everything you set is done under your admin account. This is especially good if you have 2 or more kids, so everyone has his own user account with own time limits. For example: one can access computer from 14:05 to 15:00 and the other from 15:05 to 16:00. I find the automation of time limits useful, but like many things this is very individual. If your son don’t break the rules you set verbally this is just great and much much better than any software approach. anybody currently have any wager on when the subsequent generation of video game systems may be introduced? This is a pretty disappointing article, since you start out with a nice scare point: It’s addictive. Except that there’s no evidence to be found here that it actually is addictive. The only study you cite actually does *not* suggest that, as you claim, it is pathologically addictive, and you even link to someone who does a nice job of clarifying that the author of the study is not claiming what you are claiming. The “evidence” (self reported behavior from an internet study conducted by a market research firm) is so weak that it only suggests that more study may be a good idea – which incidentally is *exactly* what the author says. Did you even read either of the linked articles yourself, or just google “child computer addiction”? I’m not saying that one should not limit a child’s computer time, but don’t use something that is a (so far at least) unsupported claim. It’s irresponsible, and does a disservice to your readers. You could just claim that children using computer’s excessively are 10 times more likely to develop brain cancer, but there is no evidence to support that, so it would be irresponsible.